The perfect gift is just a click away! 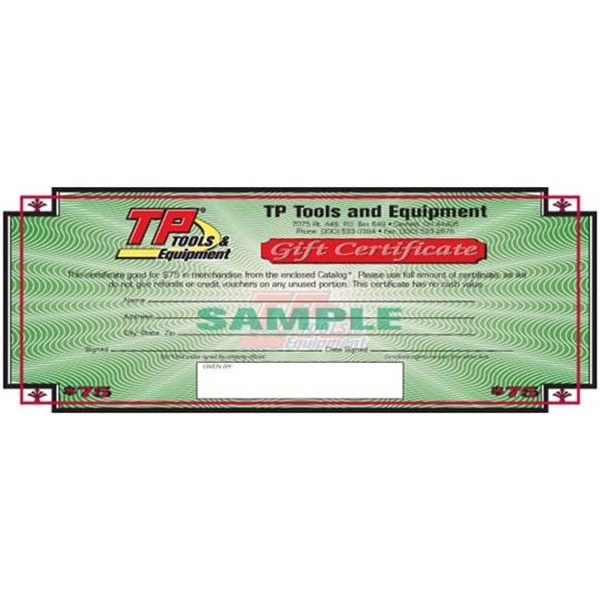 Simply order the value certificate you want to give, and we'll mail you or the lucky recipient their gift certificate and current TP Tools Catalog. Gift certificates can be redeemed with phone orders, mail-in orders, or in-store purchases. 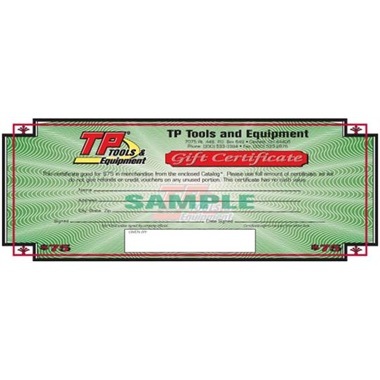 Give them the gift they really want - a gift from TP Tools & Equipment! Great for any occasion!